Gulnaz Isabekova joined the ITN Caspian in September 2015. She obtained her BA in International and Comparative Politics (major) and Internal Public law (minor) at the American University of Central Asia (2007-2011). Gulnaz pursued her MSc in Comparative Public Policy at the University of Edinburgh with a Open Society Institute/University of Edinburgh Scholarship. Her dissertation concerned children with disabilities and inclusive education policy in Kyrgyzstan. 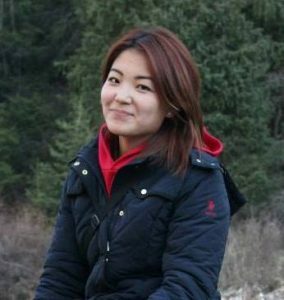 She has worked as research assistant on parliamentarism and accountability in post-Soviet Kyrgyzstan at the American University of Central Asia. Gulnaz also participated in a research initiative of the same university to create a database with profiles of MPs in the Kyrgyz Republic. Before joining the ITN as an Early Stage Researcher, she worked as project specialist at the Eurasia Foundation of Central Asia. Currently, Gulnaz is based at the Research Centre for East European Studies at the University of Bremen and affiliated fellow at the Bremen International Graduate School of Social Sciences. In her PhD project she examines the role of international and domestic actors in shaping post-Soviet welfare systems on the example of healthcare.